Extendable UV50+ hood Coordinating XL Muslin Cloth. Jane Trider + Matrix Light 2 All-terrain strolls The Jané Trider lets you enjoy your trips out with complete freedom. It offers you a chassis with minimalist style complete with all the benefits of an extreme design. 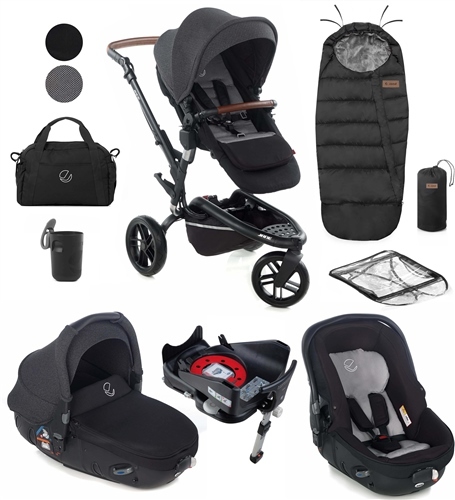 Complete with Matrix Light 2 which can transform into a car seat or Carrycot as required. Safe, healthier and for a better sleep in the early months for baby. The Lie-flat Matrix seat position supports natural, stress-free sleep..
Higher seating position means it can be used as a highchair when out and about. Extendable hood with protection against UV radiation 50 UPF..
83-108 cm hardwearing PU ergonomic handlebar.